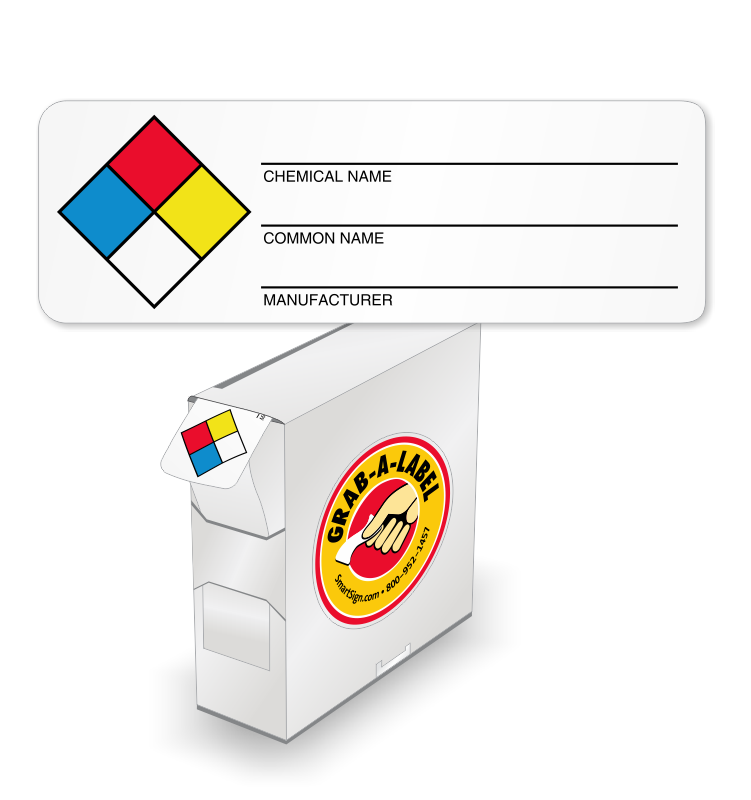 NFPA Chemical Vinyl Label furnishes required information about a hazardous chemical to employees. 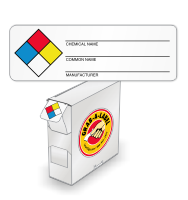 • Vinyl labels are durable and withstand water and chemical spill effectively. • Label's surface is receptive to pen or permanent marker. 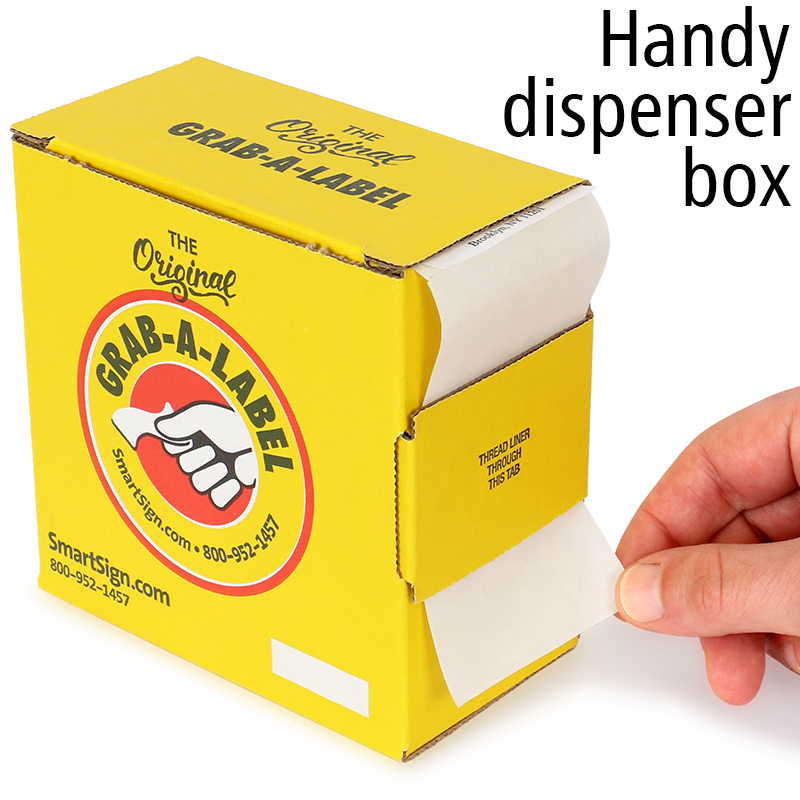 • Grab-a-Label design keeps your labels handy and organized. 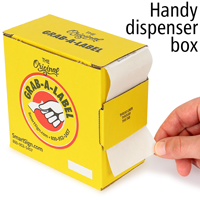 The next available label stays neat and clean together inside a compact dispenser. • Made from 4 mil (.004") thick top coated polyvinyl chloride (PVC), white vinyl is flexible and conforms to irregular or curved surfaces. • White vinyl resists tears - distorting and stretching but never ripping. Great for damp and wet locations, the material tolerates humidity, moisture, chemical splashes and is renowned for its weatherability. • The clear acrylic adhesive is permanent, and is designed for general purpose industrial applications. It has a good initial tack and excellent adhesion to a wide variety of substrates. • Printed flexographically with low viscosity, UV cured inks that dry quickly to prevent the print from running or smearing. • Great for internal and external applications, but for long-term outdoor use or placement in areas that are exposed to chemicals and solvents a laminate is strongly recommended. • The service temperature range is -40°F to 300°F (-40°C to 148°C) with a minimum application temperature of 50°F (10°C). • Write on this vinyl label material using a pencil, typewriter or ball-point pen.